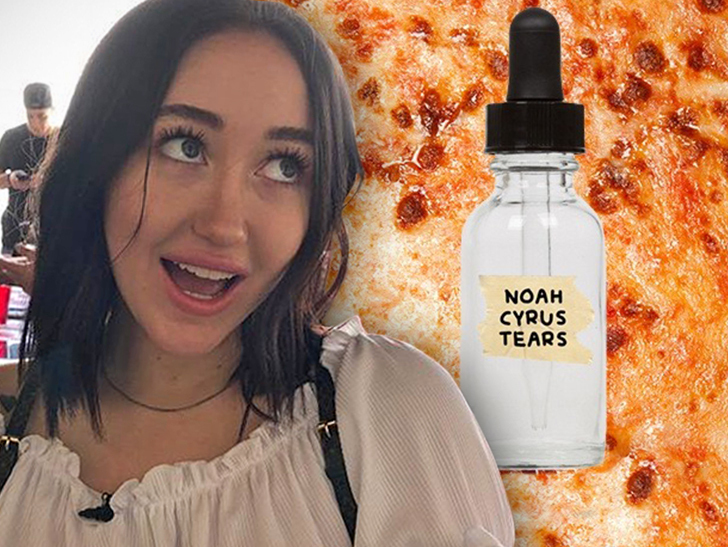 Noah Cyrus had a funny idea for a joke … and someone has now turned it into a scam. Here’s the problem. 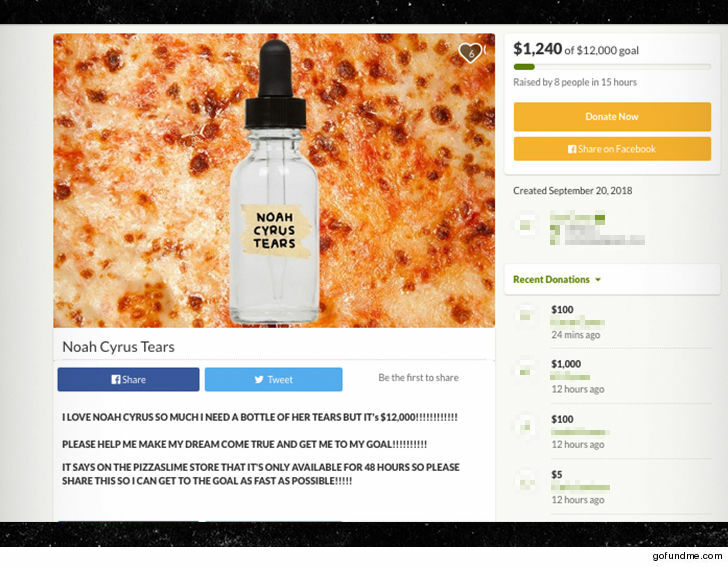 Someone smelled an opportunity to screw her fans out of cash, so they put the ad on GoFundMe, saying they want to buy a bottle … when anyone with a brain has to know it’s not real. Well … 8 brainless folks have already contributed a total of $1,240 in just 15 hours. Mind you … when someone donates on GoFundMe … the money is automatically deducted from their bank account. Noah’s team is now hip to the scam, and they tell TMZ they’re contacting GoFundMe, asking that the post be 86’d. They also say they will reimburse the folks who donated and will throw in backstage passes to one of Noah’s shows. P.T. Barnum was clearly right.